Celebrating the life of Owen Franklin Nester, Sr.
Obituary for Owen Franklin Nester, Sr.
Owen Franklin Nester, Sr., 78, of Danville, Va., went home to be with his Lord and Savior on Tuesday, October 23, 2018. He was born July 23, 1940, in Pittsylvania County, Va. to the late Clella Toler Nester and the late James Anderson Nester. He is survived by his loving wife of 55 years, Kathryn “Kathy” Motley Nester. Mr. Nester proudly served his country with the US Army in Germany. He retired from Lawrence and Nester Distributing Co. in 1997 following 35 years of service. Mr. Nester loved spending time with his family. He was a former member of the Pitt County Hunting Club and Tuscarora Country Club; he loved golf, fishing, hunting and playing fastpitch softball – pitching for over 25 years. 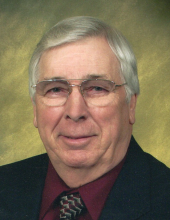 Mr. Nester was a member of Blairs Baptist Church for over 50 years. In addition to his wife, Mr. Nester is survived by his daughter, Tammy N. Waters and husband, Dan of Danville; his son, Frankie Nester and wife, Theresa of Danville; his grandchildren, Christopher Waters, Kathryn Waters and Adam Nester; his sister, Jean N. Carter of Blairs, Va.; his brothers, Earl A. Nester and wife, Ruby of Danville, Donald W. Nester of Blairs, and Jerry D. Nester and wife, Ellen of Blairs; as well as his sister in law, Maxine Nester of Danville; and a number of nieces and nephews. In addition to his parents, Mr. Nester was preceded in death by his brother, Kenneth R. Nester and his brother in law, Freddy Carter. Funeral services will be held at 2 p.m. Saturday, October 27, 2018, at Norris Mt. Hermon Chapel with Rev. John Lester, Jr. officiating. Interment will follow at Highland Burial Park. The family will receive friends from 6:30 p.m. to 8 p.m. Friday, October 26, 2018, at Norris Mt. Hermon Chapel, and at other times at the residence, 4908 Mount View Road, Danville. The family respectfully requests memorial donations be made to Blairs Baptist Church Bldg. Fund, 5260 US Hwy 29, Blairs, VA 24527 (www.blairsbaptistchurch.org), and the Blairs Vol. Fire & Rescue, 7100 US Hwy 29, Blairs, VA 24527. To send flowers or a remembrance gift to the family of Owen Franklin Nester, Sr., please visit our Tribute Store. "Email Address" would like to share the life celebration of Owen Franklin Nester, Sr.. Click on the "link" to go to share a favorite memory or leave a condolence message for the family.